A fierce creature, known only as Gorr the God Butcher, has vowed to kill every God. And Thor plans to put an end to this savage beast and his servants. Although Thor God of Thunder is currently on issue #6, the first story arc of this Marvel NOW! title spans the first 5 issues. Jason Aaron is the writer. The art team consists of Esad Ribic, Dean White, and Ive Svorcina. In case you don’t already know, the series consists of a younger Thor, present Thor, and the future King Thor. That’s right, 3! And no, the story is not hard to follow in this format. This story is dark. Very dark. Extremely dark. The God Butcher has been traveling for centuries, murdering Gods across the realms, for unknown reasons. He subjects the Gods to torture, bathing in glory at their slow and agonizing deaths. From infants to warriors, Gorr’s mission is to destroy them all. 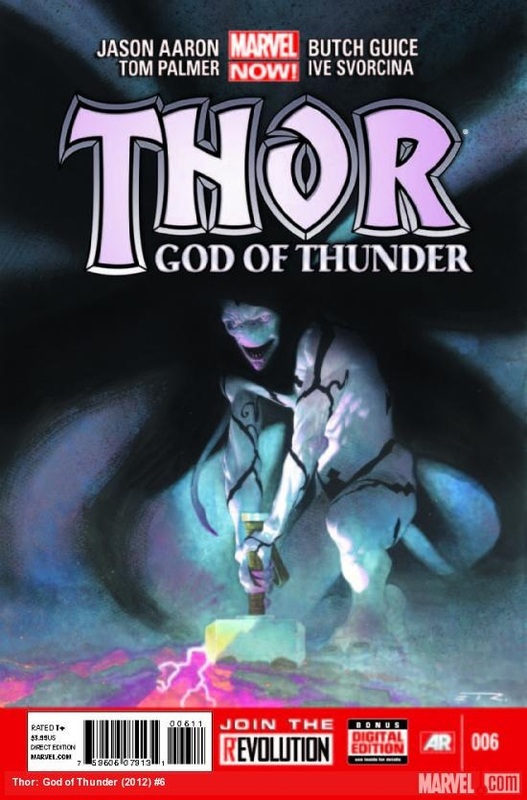 Thor fights with Gorr the God Butcher several times over centuries, however Gorr feels he is indebted to Thor and claims he will spare Thor’s life until after he’s killed the rest of the Gods. I have been a fan of mythology since childhood, so I was more than happy to jump on this series. Compelling characters. The younger Thor is funny. He loves boasting of his travels, ale, and women. Present Thor has greatly matured. Future King Thor is elderly, but ready to fight to his death. The dialogue is well written, and moves at a fast pace. It takes a talented writer to write a script like Thor God of Thunder. And Aaron is that talented writer. I didn’t care much for the art at the beginning of the series. I looked at the cover of the first issue, flipped through the pages, and said, “Ugh.” However I was crying within the first few pages! It takes dialogue AND art for that to happen. I haven’t complained about the artwork since! 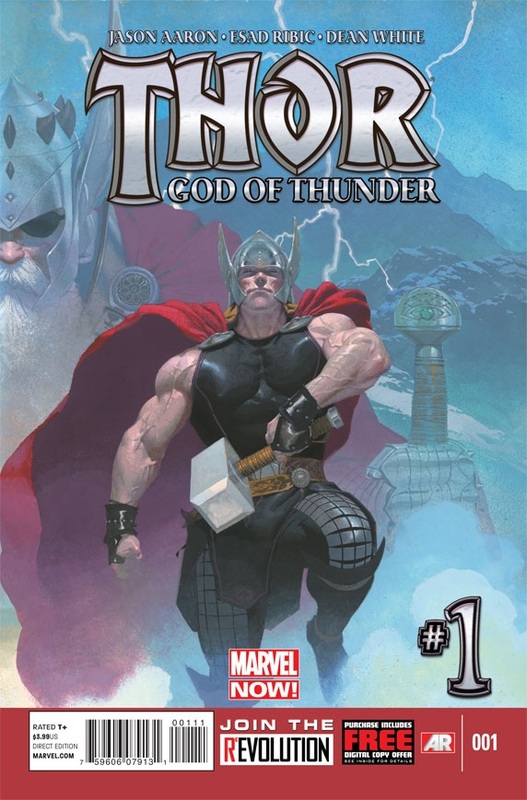 If you’re not reading Thor God of Thunder, by Marvel Comics, now is the time to start. Read the first story arc (first 5 issues) then grab issue 6. Jason Aaron is the writer. The art team consists of Butch Guice, Tom Palmer, and Ive Svorcina. This issue is the origin of Gorr the God Butcher. If you’re a fan of mythology, then this Marvel NOW! title is definitely one you will want to jump on. I highly recommend this series.